Coaches should not discuss a game, a game incident or a situation that occurred during the game that has provoked an adverse emotional response or created a hostile situation until at least 24 hours after the fact. 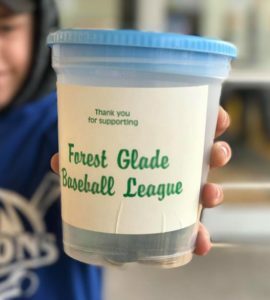 A Forest Glade Baseball League member, parent and/or spectator is not to approach a coach to discuss a game, a game incident or a situation that occurred during the game that has provoked an adverse emotional response or a hostile situation until at least 24 hours after the fact. Following the elapse of 24 hours, the person(s) involved may approach the Coordinator of the Division to discuss the issue and work out a resolution. Should the coordinator not be available, another board member may be approached. If the issue cannot be resolved with this initial step, then the coordinator will bring the issue on behalf on the complainant to the DRC. The complainant may also submit a report to the DRC. Baseball is an emotional sport. The on-field action that players encounter can spill into the dugout and stands and create strong reactions from coaches, parents and spectators. For parents, it is important to separate game emotions from the best interests of their child’s sport development. For this reason, our League has adopted the “24 Hour Rule”. This important rule does two things. First, it moves any emotional and confrontational discussion away from the presence of the players. Second, it allows all parties to “cool off”, compose themselves and put the provoking incident or situation that occurred in the game in perspective before meeting to discuss it. By having everyone respect the 24 hour rule, their concerns are more likely to be fully addressed in reasoned discussion. More importantly, the kid’s enjoyment of a game won’t be marred by an ill-timed confrontation.